Play in co-op mode against the evils of Elsword's world or compete for ranking in player vs. player mode. 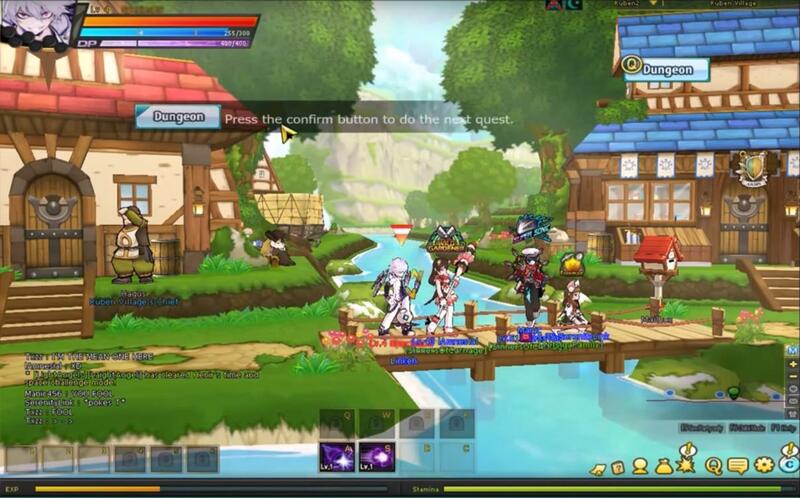 Elsword provides players with a competitive PVP system with a real-time ranking structure. Casual gamers can take a quick dive in and tough it out with other casual players, while hard-core gamers can fight to stay on top of the ranks. In addition, players can rack up Arena Points (AP) to buy items from the arena store. Easy to master controls allow a new player to pull off combos and skills from the get go while advanced players will appreciate the ability to link combos to create game changing chains. While fighting for the finish, imaginative players longing to extend the manga experience of Elsword also can create their own machinima movies or simply record their best combos with a new video recording feature. More advanced players will be able to remap their keys or even use a game pad. Anyone can make it through Elsword without spending a dime but special weapons, costumes and other items will be available to make your character both powerful and unique.